As the scale of peer-to-peer expands, however, society needs new ways of keeping consumers safe and of protecting workers as it prepares for an era of population-scale peer-to-peer exchange. Over the last decade, new digitally enabled peer-to-peer, ‘collaborative’ and ‘sharing’ platforms have facilitated a wide variety of direct economic interaction between individuals. Today, Airbnb uses over half a million hosts to accommodate over 300,000 people a night in 190 countries, while the hundreds of thousands of independent Uber, Lyft and Sidecar drivers dominate point-to-point urban transportation in many world cities. Paris-based BlaBlaCar and Munich-based Carpooling facilitate city-to-city ridesharing, together building a global transportation network based purely on ‘invisible infrastructure’. Maker marketplace Etsy’s million-plus sellers create a decentralized and open industrial production and distribution system. Equity crowdfunding platforms like AngelList and KissKissBankBank empower the masses with investment opportunities previously reserved for institutions or wealthy individuals. These platforms challenge traditional business models across a range of industries – creative destruction that is a natural part of economic progress. The economic fundamentals underlying this transition suggest positive long-run implications: higher rates of economic growth, higher standards of living, more innovation and lower barriers to entrepreneurship. Read the full article as published in Policy Network. 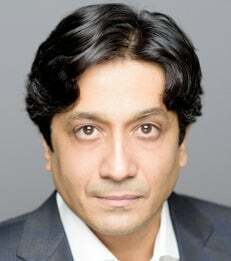 Arun Sundararajan is a Professor of Information, Operations and Management Sciences, NEC Faculty Fellow, and Doctor Coordinator of IOMS-Information Systems.